Outlined below is a history of the Chevrolet K5 Blazer. For a quicker review and information about lifted / off-road Blazers check out our Review page. For more technical information see our Features & Specifications page. The Chevy K5 Blazer was first introduced in 1969 and was essentially a short wheelbase truck based off of the Chevrolet C/K family. 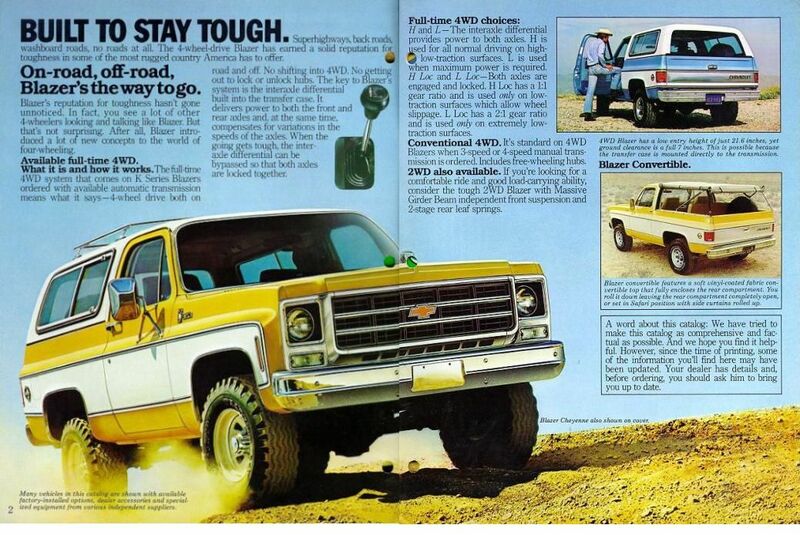 Because on the K5 success, General Motors would also introduce a GMC version called the Jimmy in 1970. Although Blazers were made available in both 2WD and 4WD they were much more popular as an off-road vehicle. However, 2WD slammed and lowered Blazers are also a popular resto-mod among today’s enthusiasts. Early K5 Blazers were notable for their removal top making them a full convertible. This was a key design element that placed them design wise in competition with the Jeep Wrangler and International Harvester Scout. In 1976 the removable top was replaced with a half-cab design to improve leak issues and rollover safety. This design change gave the K5 a pick truck look, with a partial convertible open air feel, as the cab while covered by the top was still exposed to the elements. In addition there is an aftermarket soft top available for these “3rd generation” Blazers. See our Soft Top page for more information. Continue reading below for a little more information about the early and later generation K5 Blazer. For more specific information be sure to check out our Features and Specs page. 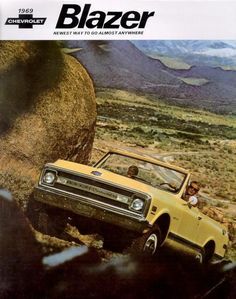 The first generation Chevrolet K5 Blazer was introduced for the 1969 model year. It was essentially a short wheelbase Chevy truck with a removal hardtop offering a full convertible riding option. The first model year was only offered in 4X4 but in 1970, two wheel drive (2WD) was made available and every other model year thereafter until 1982. 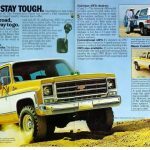 The initial marketing concept was a utilitarian rugged capable 4X4 like the Jeep CJ or International Scout but with some of the luxury SUV amenities such as air conditioning, power accessories and an optional automatic transmission. Although both Ford and Dodge had very similar models with the Bronco and Ramcharger, these earlier K5 Blazers outsold both of them. 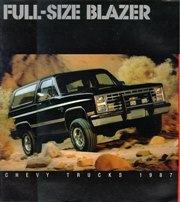 The second generation K5 Blazer was brought up to date with GM’s line of full size trucks. This included changing the full convertible removal hard top to a half-cab design which was less prone to leaks and seal issues. Another notable design change was a more squared off front grille like GMT 400 platform pickups. 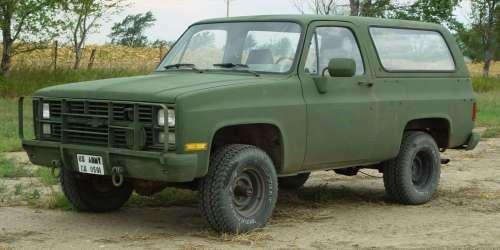 Some of these since “decommissioned” Military K5 Blazers are still used today by law enforcement and the National Guard. There are also some owned by civilians that were purchased via government auctions. Have something to add? Let us know in the comments section below.